In this Trek-tacular tutorial, Liz re-creates a scene from one of her favorite old-school TV shows, Star Trek: The Next Generation. In this Halloween special, Doctor Crusher drinks Will Riker’s brains with a straw. 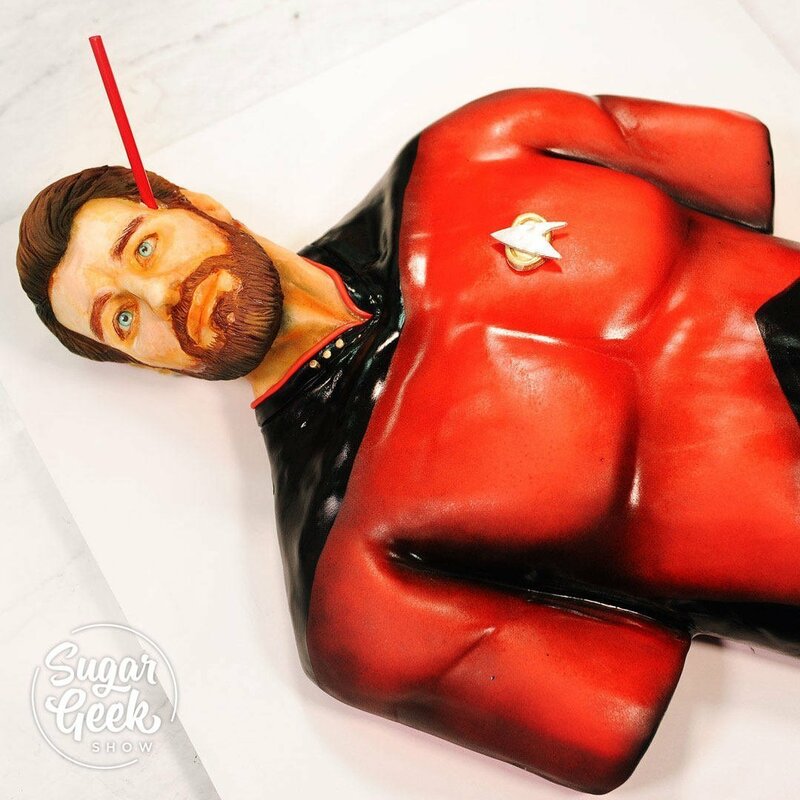 Learn how to sculpt a body out of cake with realistic details, re-create a face out of modeling chocolate and put it all together.